First off, my prayers goes out to the families of the the 3 persons who was inside the Abenson delivery truck, the casualty of the recent shocking explosion at Serendra, around 8 p.m. last night (May 31, 2013). I was on my way home from my work at Bonifacio Global City, I was right at the bridge going to C5 from Market Market when an unusual news from my favorite station, Jam 88.3, came on. DJ announced that there was an explosion in Serendra Tower 2. At first, they speculated that it could be a vehicular accident. Later then it was confirmed that a unit at Serendra (unit 501) exploded causing the walls to collapse, hurting a passerby and crushing two vehicles. 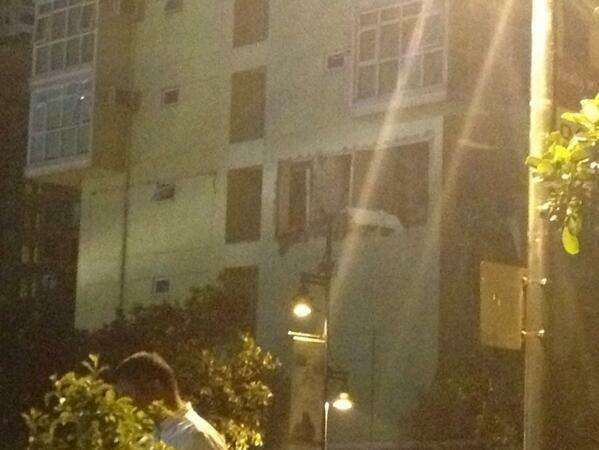 The explosion was so big that windows of nearby units and establishments in the area cracked from the noise. 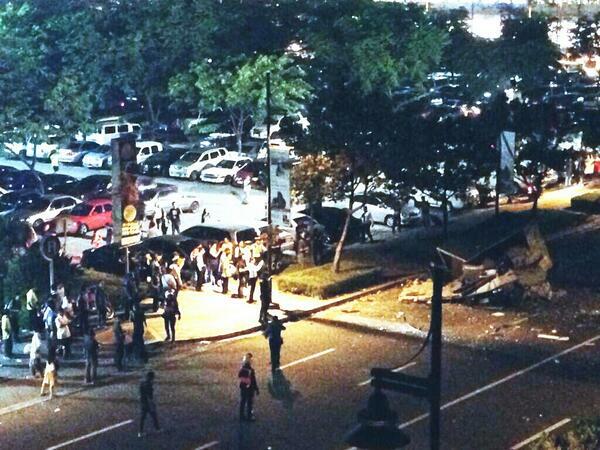 What was suppose to be a happy payday Friday became a gruesome evening for those who chose Serendra that evening. Come to think of it, I was suppose to go out and have drinks with a friend there last night! Who knows if our tired dispositions have brought us in that area... I can only thank God I chose to brave the C5 traffic and decided to forego my evening plans and stayed home instead. But even at home, one can never be too safe... Case in point, the recent news! This is one hell of a nightmare coming true for me. As a condo-dweller, one of the things that I am scared of is the fact that my gas range is a just a meter or two from my bedroom or the mere fact that I'm close to many things can easily blow up! Upon hearing the news that gas explosion might be a possible reason for the incident that is currently rattling one of Manila's poshest district, scares me to no end. After all, I only live in a middle class condo development. Chances of it happening is much higher compared to one that is developed by Philippine's prime real estate developer! That's why we all need to make sure we are safe. Turn the gas off before going to bed or right after cooking. Unplug appliances that are in use. Don't overcharge your gadget. And don't overexert an extension cord. God bless to everyone. Stay safe!